The show has been hosted by two people but the most well-known is Pat Sajak. He has been the host since 1981 and continues to host it today, after a brief break along the way. Another famous face from the show is Vanna White, is the stunning woman who turns the letters around when they are guessed correctly. These two make a great team and they are part of the reason that viewers keep coming back to watch. Another reason is that the audience can play along while watching. The show has been on the air for more than four decades and over the years viewers have been wondering about certain things on the show. If you, too, have ever wondered about how the show is made and what happens behind the scene, then look no further. We have compiled a list of the most interesting facts and behind the scenes information from the Wheel of Fortune. 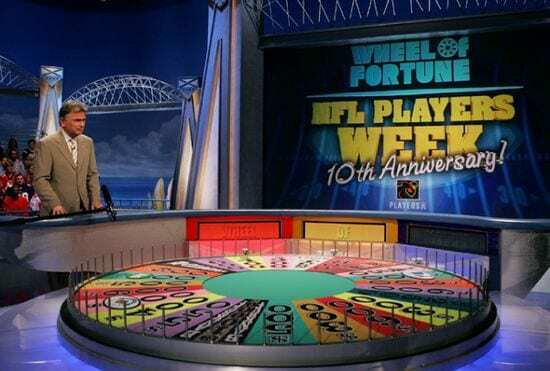 When you watch Wheel of Fortune on TV, the wheel looks massive and it seems that it is hard for many of the contestants to spin it. However, we guess it’s true what they say about the camera adding 10 pounds since the real life wheel is actually much smaller than it looks on our screens. Due to some creative camera angles, we think the wheel is way bigger than it is in reality. That said, the whole wheel makes 2,400 pounds and it takes around 14 trucks to move the set when the show goes on the road. While many believe that the wheel is rigged so that the contestants won’t win too much money, this is a myth and the wheel is not rigged in any way. 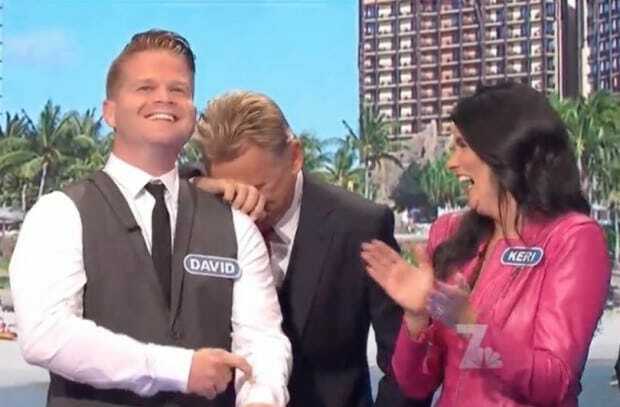 There have been theories that Pat Sajak can control the wheel with his foot and chooses to stop it when he wants, but this could not be more untrue. While the wheel isn’t rigged, editors sometimes take out things that would make the episode too long. For example, if someone landed on “bankrupt” on their last turn. Both Vanna White and Pat Sajak have admitted that when they first began working on the show, they would often drink a margarita or two at a local restaurant before they started taping. 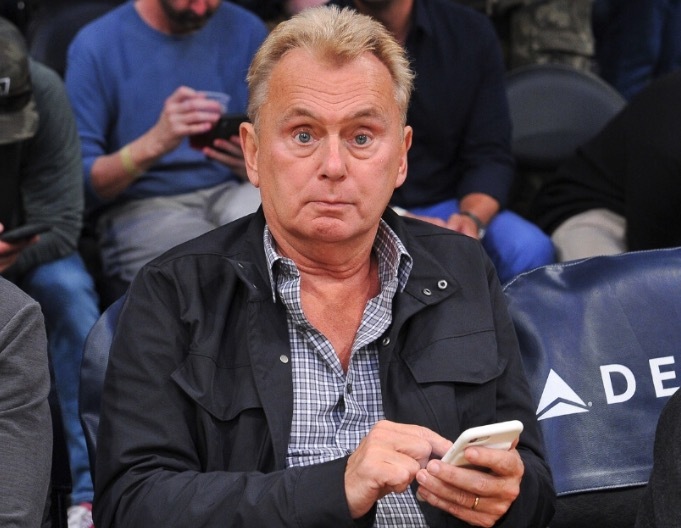 We guess that they may have been nervous as they were young and didn’t have much experience, however, Sajak recalls that it was hard for them to remember the alphabet after drinking, so in hindsight it might not have been the best tradition. Thankfully, neither of them got in trouble from producers for their pre-show antics. With over 30 years’ experience on the show, Vanna White holds a very unique Guinness World Record – for being the “most frequent clapper on television.” Vanna has to do a lot of clapping on the job. 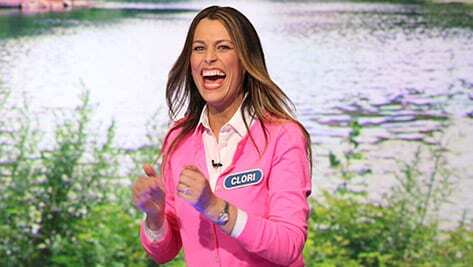 She claps after every spin of the wheel, every time she turns a letter and every time a contestant guesses a puzzle right. She claps around 28,000 times every season. She really deserves a hand for showing all that enthusiasm – and in heels! In a special April Fool’s Day episode, two famous television hosts made viewers do a double-take by switching roles. Pat Sajak hosted Jeopardy! For the evening while Sajak’s wife, Lesly Brown, teamed up with Alex Trebek to host Wheel of Fortune. The episode was donated to charity, so the hosts’ hijinks were all for a good cause. However, we are glad that the two hosts returned to the game shows they are best at hosting. Although a new episode of the show may air every night, the cast and crew only work a few days a month. In every taping, around 5 or 6 shows are filmed in a row, which means that Pat and Vanna only work one day a week. You may have wondered how the contestants remember what letters they have already guessed. Well, we have your answer. There is a “dummy” screen that shows the contestants what consonants and vowels have already been guessed. There is also a separate screen for Pat that tells him how many of each letter are in the puzzle. Before this screen was created, an intern had to hold up their fingers to let Sajak know how many of the same letters there were. Since the show has been on for over 4 decades, there are bound to be a number of bloopers and funny moments over the years. Sometimes the contestants guess the puzzles way off and it makes the hosts and the audience laugh. 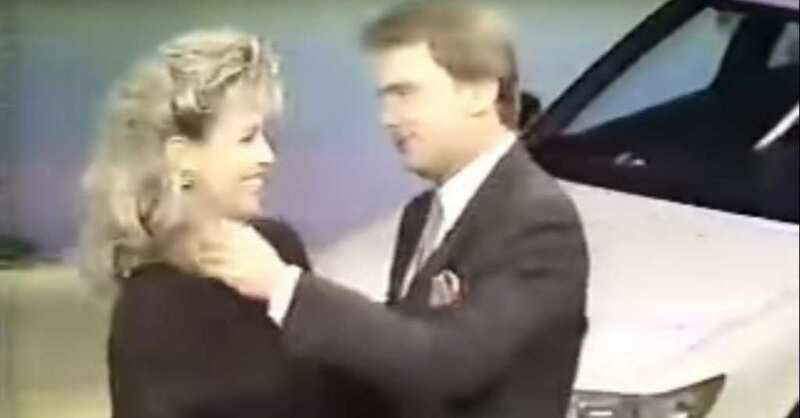 One such moment was when a player was trying to solve for the puzzle “gone with the wind,” however, they instead guessed “done with one hand.” Understandably, Sajak and White could not contain their giggles from this accidentally inappropriate guess. If you are an avid fan of Wheel of Fortune, you may have noticed that all of the contestants seem to be the same height. Unless the producers only cast players that are the same height there must be something going on behind the wheel. It turns out that there is a platform under the stage that all of the contestants stand on in order to make it appear that they are the same height. The magic of television. While the contestants look like they are just average Americans who made their way onto the show, in reality every contestant is highly coached prior to appear on the show. Around 10,000 people apply every year to appear on the show, only 600 contestants actually make it on. They contestants have to learn how to properly spin the wheel, when to buy a vowel and teach them about common letter patterns. Here is an interesting fact about what happens with the contestants in between takes. According to the contestant coordinator on the show, the most important aspect of being a good contestant is having a strong presence. During commercial breaks, the coordinator will make the players shout out letters and keep doing it until they are loud enough. This is done in order to keep their energy up going into the next round. 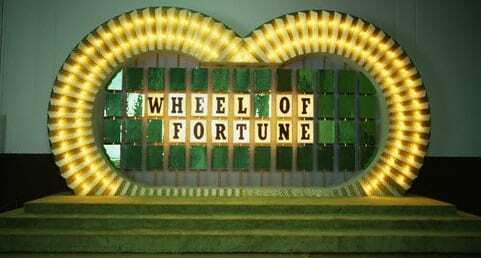 Every night of the show, Vanna White wears a different gown. Since the hose has been on for more than 4 decades, this means that Vanna has worn around 6000 dresses since she started. Unfortunately, she does not get to keep any of them and only gets to wear them on the show. Designers who want their dresses featured on television will send them to the studio. Producers say they might get 100 dresses at a time but they only pick a dozen. After every show, Vanna and Pat have a little banter while the cameras are still rolling. According to them, this segment is unplanned and the two can talk about whatever they want. They have used this opportunity to sometimes play tricks on the audience and in one episode, they even shared an on-screen smooch! This segment is so fun to watch and Vanna and Pat always keep us on our toes. Speaking of Pat and Vanna, the two admit that when they started the show, they never expected it to last as long as it has. Vanna explained that when you first start a job, you hope that it will last a few years but you would never imagine staying at the same job for 30 years. Since the show started, a lot has changed in mainstream society, but through it all, Wheel of Fortune has remained a sort of time capsule. While inflation might have occurred over the years, the price of a vowel is still the same as it was at the start of the show, $250. 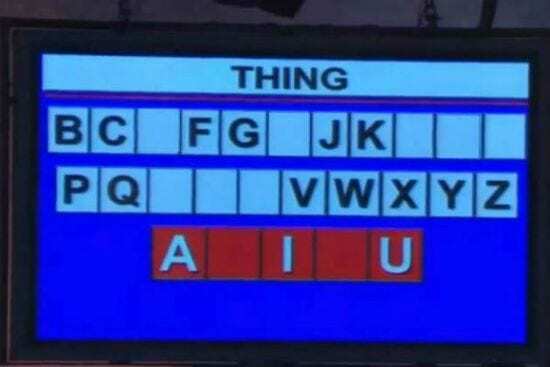 The only drastic change that has been made to the show is that the board is now digital whereas Vanna used to actually have to turn the letters by herself. 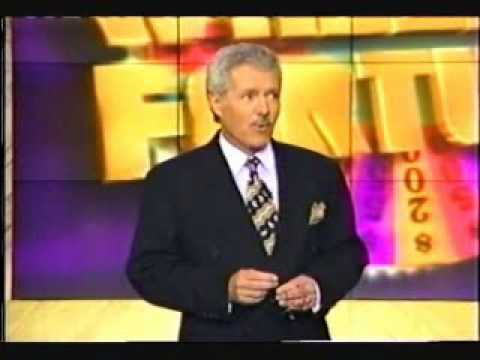 Although Alex Trebek did visit the set of Wheel of Fortune and make an appearance as a host, he and Pat are not friends in real life. While the two hosts do not have a problem with each other, you would not find them hanging out off the air. 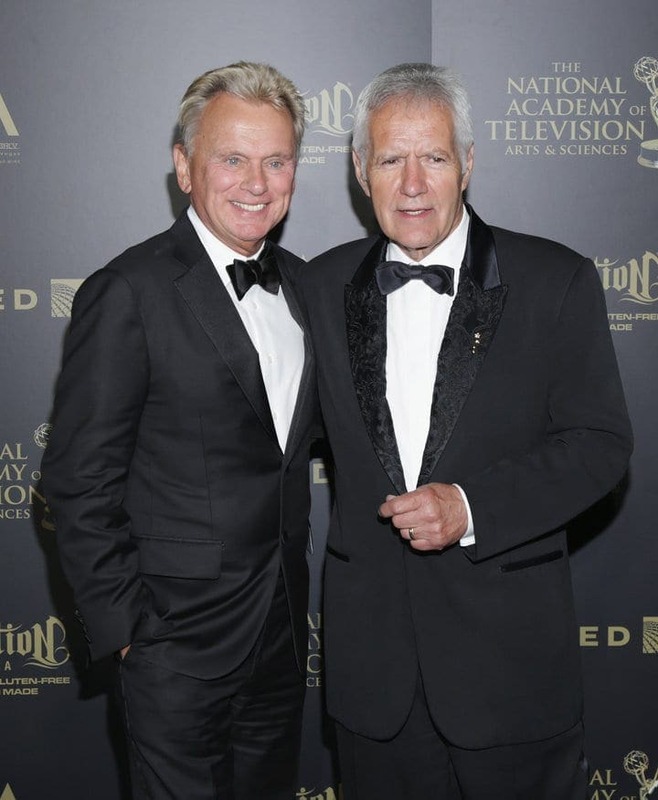 Pat said of Alex Trebek, “We get along fine but we’re not in the same bowling league.” It seems that these two would have a lot in common since they both host long-running game shows, there may be a little host rivalry going on below the surface. Ever wonder who comes up with all of the puzzles that are played? Well, the crew on the show are always offering their ideas for puzzles that can be used and Vanna White loves to offer suggestions. According to Pat, Vanna is an avid crossword player and he says that Vanna’s puzzles are often chosen to be featured on the show. We bet that Vanna has gotten pretty good at solving those puzzles over the years. Vanna and Pat have been doing the show together for 35 years and as one could imagine, they have formed quite a bond since they started. This is why the two have agreed that if they ever leave the show, they will leave together. Vanna has explained that she could not imagine doing the show with anyone else and she would not want the audience to be confused about what happened to Pat if he were to leave. Before Vanna landed her job on the show, she was a huge fan and even auditioned to be a contestant. When Vanna went to audition to be the woman who turns letters on the board, she was competing against 200 other girls for the spot. She remembers being very nervous for the audition and admits that her, “knees were quivering and my legs were shaking.” Thankfully she landed the role and the rest is history. You know how we said that thing about shorter contestants standing on boxes, so that everyone could be the same height? Well, for a long time that resulted in Pat Sajak appearing to be extra short on camera. “People thought I was a jockey,” he joked, before saying that they changed so that he got to walk on a riser, thus retaining his regular height near the contestants. Indeed, people actually thought he was around four feet tall! So we’ve already spoken about the fact that Vanna White never wears the same dress twice. Well, what if we told you that Pat actually gets in on that action too. It turns out that he actually coordinates his outfits with hers. If she wears a silver dress, chances are he’ll wear a sleek silver tie. Aren’t these two just the cutest? And that’s without mentioning that they’ve been working together for a handful of decades. Have you ever wondered what Vanna White does while she’s off camera? No, she doesn’t flip letters for fun, and she doesn’t walk around the set randomly smiling at people. Well, she does smile, but not the way she does on the show. It turns out that she has a wide array of cool hobbies, and one of her favorites is crocheting. In fact, she owns her very own line of yarn, which she’s titled “Vanna’s Choice,” and she gives away much of it to donations. 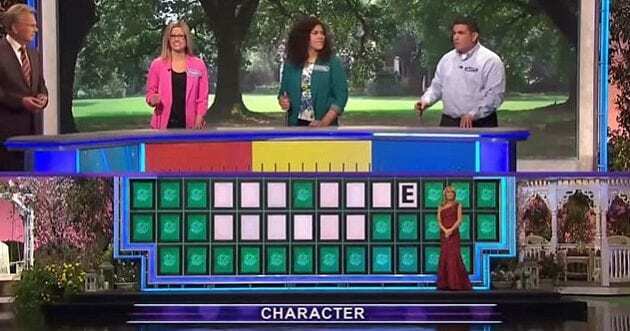 When you have a show that’s as successful as Wheel of Fortune, it makes sense to think that they’d have the means to buy multiples of everything – from the wheel, to Pat’s microphone, to the letters. However, it turns out that there’s only one puzzle board, and only one wheel as well. 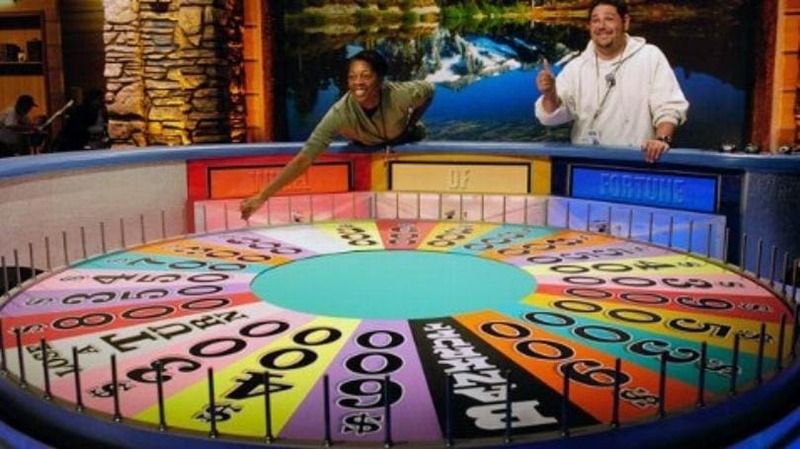 The wheel is supposedly valued at $1 million, and they have to take it apart piece by piece if they ever film the show somewhere else, such as when they had to go to Hawaii. Speaking of wheels… here’s a fact that only true diehard Wheel of Fortune fans will know. 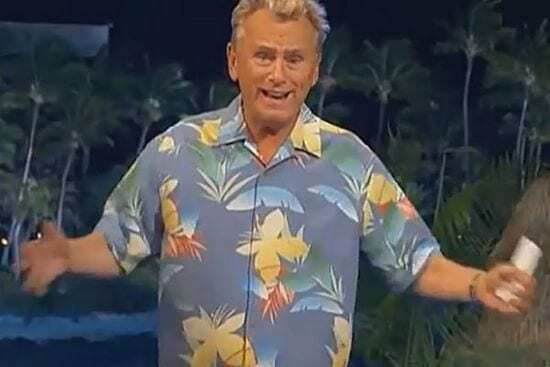 It’s true that Pat Sajak is the ultimate host, and he’s been synonymous to the iconic game show from the very start. But he wasn’t always the host. There were two years where he took a break from it all – 1989-1990. He was replaced temporarily by Bob Goen, who was later known for hosting Entertainment Tonight. Eventually, Pat missed his job, and took his spot back. Have you ever wondered where Pat Sajak got his entertainment chops from? It turns out that before he ever worked on Wheel of Fortune, he was in fact a DJ for a few radio stations. Not only did he play tunes for the Armed Forces Radio, but he also became a DJ for a radio station in Kentucky as well. Make no mistake, Sajak was learning how to project his voice in a professional studio from a young age – and as we know, he would ultimately make a career out of it. This seems like a crazy reason for someone to not get the job – but luckily for Pat, Silverman ended up coming around and giving Merv the okay. It ended up cementing Pat’s career for the rest of his life. When you’re watching the show at home, it’s always natural for us to think that the contestants are making bad choices. We all think we would do better if we got the opportunity, but Pat is here to hit us with some truthbombs. “You don’t know what it’s like until you’re in the studio,” he said. With all of those cameras on you, and millions of people watching at home, that can produce a lot of pressure – so even the easiest puzzles can actually be a lot harder to solve.